Fun Lock Blog Contain Collection Of Jokes, Funny Jokes, Funny Pictures, Funny Videos, Funny News, Funny About Many Things, Take Your Time And Relax Your Mind. 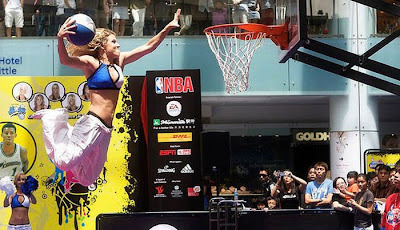 Slam dunking NBA girls have several things going for them. For one they are all very beautiful. For another they are all very athletic. In addition, they look good while jumping.